The Live Feedjit widgets for US bloggers, and United Kingdon bloggers are different as far as I know. When my friend asked me to write on how to adjust the length of Live Feedjit, I based my information on my blog's widget. I thought they are all the same, but Anne quickly pointed out to me that her widget didn't have that HTML code as I underlined in my post "How to Adjust Height, Width, or Length of Widgets". So today, I spent some time in Anne's blogs, and found that there was no way to adjust the length. After playing around with the HTML for a while, I still couldn't get it to work for her. So here is an update and a quick solution for those who are particular with the way it looks. 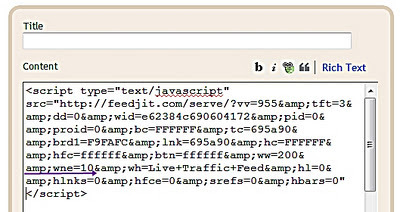 If you are satisfied with your choice, then click on the button Install Feedjit, and follow the on screen direction. That all it takes! This should work for United Kingdom bloggers or for anyone who just want to adjust the length, width or height of their widgets. Good tip. 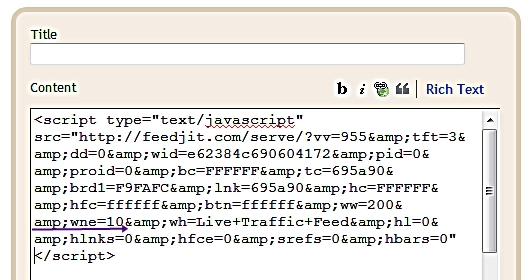 The Feedjit widget has changed over the years. I have no technical savvy whatsoever, Icy, so I always appreciate your hints. I am at the mercy of the computer. You are so clever.